The newest of Wireless Technology offers their differences as well as their own unique benefits. Wireless availability continues to develop almost at warp speed in popularity as well as technology and ubiquity. There are a lot more people who are finding uses for wireless technology in a different variety of useful applications. This includes anything from being able to access the Internet from wherever they happen to be, to talking or texting on their smartphones, to easily printing out their documents from anywhere in the office. So what may be required is to look at the different types of wireless technology which is currently available, the products which you’re able to connect to the wireless technology, along with the benefits that each offers. A Wi-Fi hotspot is able to deliver clear crisp Internet access directly to a variety of devices which are compatible. These include smartphones, tablet PCs, netbooks and laptops as well as any other mobile device. By simply connecting a wireless Wi-Fi capable router to an Internet service, you can then set up your own private Wi-Fi hotspot in your home or office. You’re also able to connect to a public Wi-Fi hotspot which is created by someone else, usually as a free or paid service. Any mobile device which has Wi-Fi capabilities is able to access the wireless network, provided that it’s in range or if the wireless device user happens to know the network password. Wi-Fi networks will also allow you to send out documents directly from a mobile device to a printer which is connected to a network. Also, some wireless devices, such as a digital photo frame or a digital camera for example, which happens to be Wi-Fi equipped, is able to communicate with other compatible devices provided that they’re on the same network. They can also send out as well as receive information to the Web as well. For instance, while on a Wi-Fi connection, you’re able to stream images to a Wi-Fi enabled digital photo frame directly from your computer. There are also some digital cameras which allows you upload your images straight to a photo or video sharing site on the Internet. Unlike the other wireless technologies which are available, using Bluetooth does not have anything to do with accessing the Internet. Bluetooth is a local short-range based technology which is designed for usage usually by a single user with a particular wireless device or two. The most common use for Bluetooth technology is to give you the user a hands-free method to be able to talk on a mobile phone. With a smartphone that’s Bluetooth-equipped, along with a Bluetooth earpiece, you’re able to make mobile calls, talk and then hang up without having to actually touch your smartphone. This is obviously a needed safety issue for anyone, and now required by law in some locations, to keep both hands on the steering wheel. You’re also able to do your household chores or easily handle your kids while on a phone call. 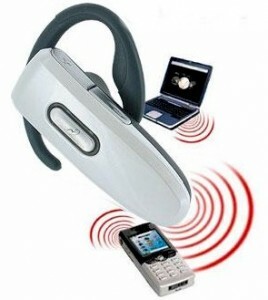 Bluetooth technology can be used for a wide range of other devices as well, such as computer related accessories like wireless keyboards, wireless mice or wireless headphones. You’re also able to exchange information with digital cameras, print out documents on a nearby printer without the need for cable, stream from a MP3 player directly to a car’s stereo deck, as well as other handy “local” applications. 3G wireless is a mobile broadband technology which allows you to connect your mobile device to the Internet provided that it’s 3G-enabled. Devices such as smartphones, netbooks or laptops, or tablet PCs are all possible. Keep in mind however that the speed isn’t usually as fast as using Wi-Fi. There are a lot of other mobile devices which has 3G capabilities as well. In order for you to be able to use 3G, you’ll need a 3G data plan along with a service contract from your local mobile service provider. 3G coverage will usually extend to most of the areas where you’re able to get a mobile phone signal, although it’s not always as ubiquitous, meaning that there’s “area pockets” where you’re able to make a call on your mobile phone, but may not actually have access to 3G. There are also only selected smartphones, tablet PCs and laptops which has built-in 3G capabilities. For those netbooks or laptops which do not have 3G, you can the insert a dedicated 3G mobile broadband stick or card to get connected. Alternatively, some of the laptops are able to “tether” with 3G mobile phones for mobile broadband Internet access. 4G wireless, which is also known as WiMAX and LTE, is the latest and greatest “next” generation and evolution of mobile wireless broadband. Similar to 3G, 4G access is also handled through a mobile data plan, so a contract agreement is usually required through your mobile 4G service provider. 4G is a lot quicker than 3G, which approaches the same speeds that you’d experience when using Web-enabled devices that’s on your home or office network. So far, 4G service coverage and availability is limited to just major metropolitan areas, and isn’t current as widely available as 3G wireless. However, 4G continues to expand as the major mobile service providers are building and expanding their networks to be able to handle the increased data traffic. Similar to 3G, 4G wireless capabilities are also available on a wide range of products, which includes smartphones, tablet PCs, netbooks and laptops, as well as by using add-ons, which depends on the device’s specific capabilities.